I’m not going to preface all my makes this year with “wax print” I promise, but the alliteration was just too much to ignore. 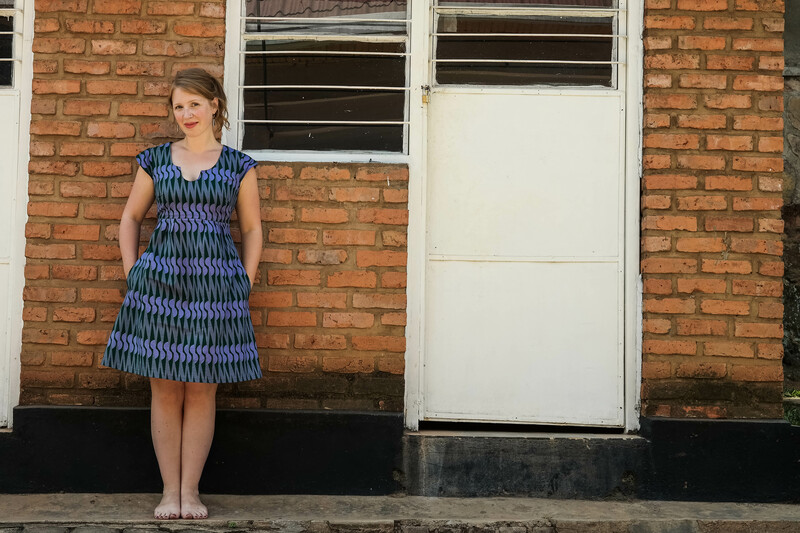 Before we start, I’ve put a few more (better) photos of the Kigali fabric stalls on my shopping post, because I was back there again last weekend, this time for an exciting long-distance team project on The Monthly Stitch (expect more on that in August). 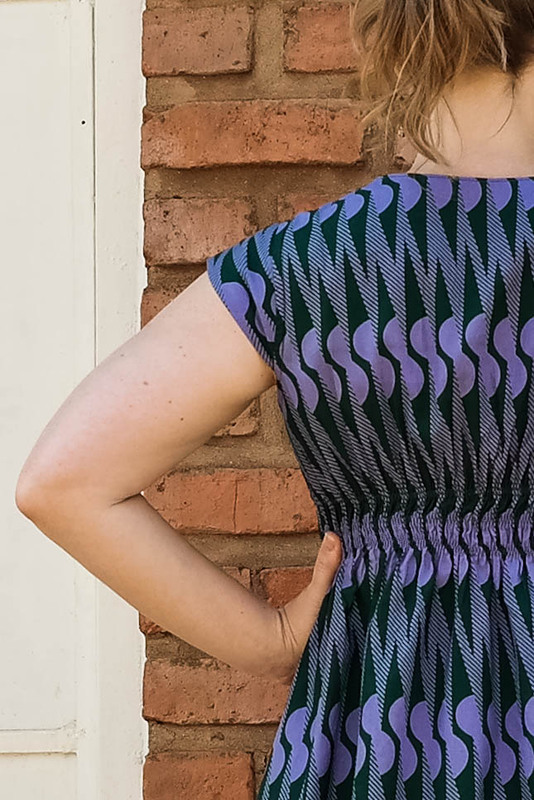 For my second make with my new wax print stash, I went with a pattern I bought a while back but had yet to make up – the Washi Dress by Made by Rae. It has this unusual cutout neckline, and ruching at the back to give a flattering fit, without buttons or zips (WIN). Construction was fairly straightforward. I made a muslin and decided to add an FBA to give the ladies more room. I came a cropper however when I got to the ruching part and realised I didn’t have any elastic thread. I was so sure I had some, but clearly I either never did or just didn’t pack it or whatever. Either way, a crucial element was missing and I was pretty sure I wasn’t going to find something so niche in Kigali. BOO. In the end I decided to improvise by zigzagging strips of thin elastic instead. I would say this worked pretty well. 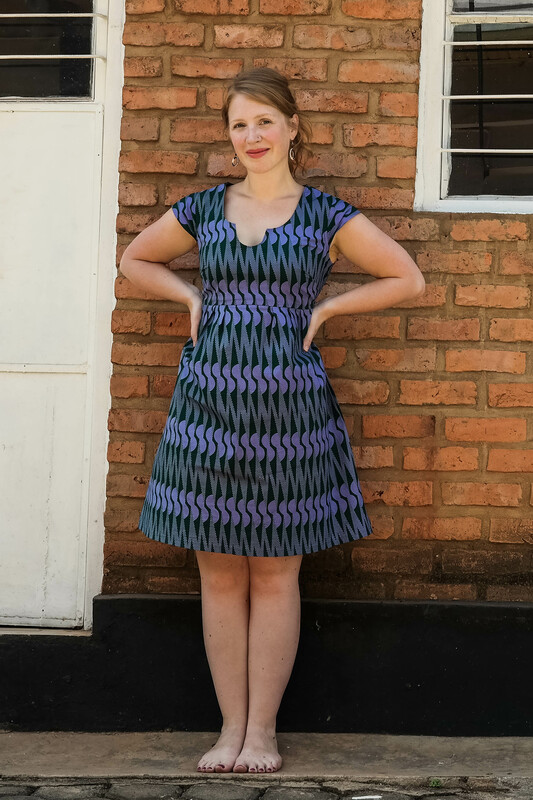 The busy print disguises the zigzag stitching and the overall gathered effect is pretty similar. However, the gathers are considerably more firm than I think they would be with elastic thread, leading to a little, erm, squishing in the front. Apart from that though, I’m happy with this dress. I like how the the silhouette is accentuated by the stiffness of the cotton. Love those StarTrek-esque cap sleeves in particular. Your your dress looks lovely and easy to wear in hot weather. Seeing that top post I am really curious to see what will show up in my mailbox. 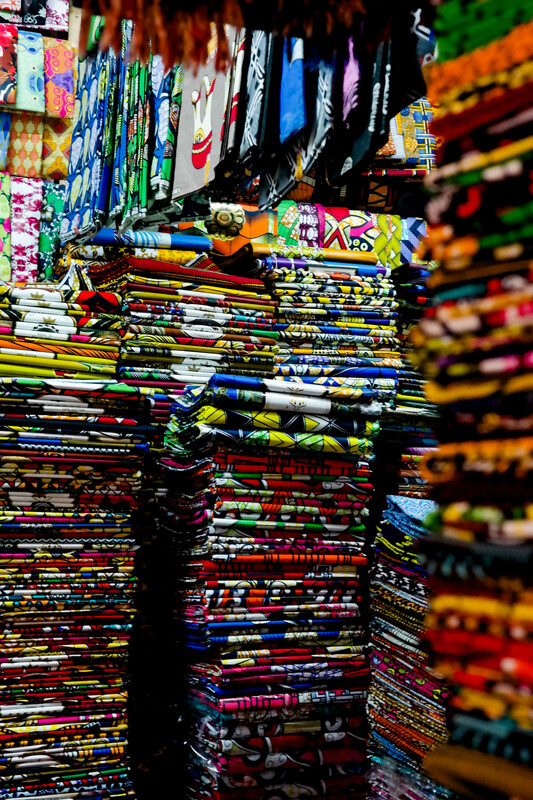 Great dress, and your choice of fabric is awesome!